In the agriculture industry aggregate spouts cause major maintenance headaches. The spouts distribute material like grain, fertilizer and seeds which are highly abrasive. Spout liners have existed to reduce abrasion as replacing the spout is very expensive; however, these liners often have seems which eventually crumple and require replacement of the liner and worse, the accompanying downtime. To replace a spout liner has traditionally been a large issue in itself. A crane usually must be called in twice to remove the spout for lining. Cranes are very expensive to rent and this results in further downtime. Fortunately, there is now a solution that addresses all these problems and we our pleased to announce our distribution of Redco™ Tuff-Tube. Tuff-tube is a seamless one-piece liner made of resilient 80A durometer urethane. Equivalent to harder rubber but with exceptional impingement resistance. Tuff-Tube liner is easily installed requiring only a few minutes and one use of a crane. No elevator bolts are required to stabilize the liner. The Tuff-Tube design ensures that it is impossible for the liner to be fold due to movement of material. To add additional value, once it wears, Tuff-Tube can be easily rotated 180 degrees to expose an unworn surface thus effectively doubling the life of the product. We believe Redco™ Tuff-Tube to be an outstanding addition to the Redwood Plastics line. For more information click here or contact us today. A coal plant in British Columbia had a big problem. 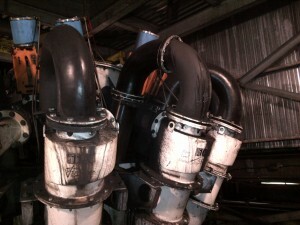 The plant used cyclone intake tubes made of either steel or polyethylene for the coal to traverse, but the properties of those two materials were causing maintenance headaches. The steel pipes were corroding and extremely heavy, making them difficult to maintain as the pipes were located in a difficult to access area of the plant. The polyethylene pipes could not handle the harsh abrasion they were subjected to by the coal. Urethanes; however, provided an excellent replacement material due to their remarkable properties resisting wear and impact. Redwood, in conjunction with our urethane manufacturer, created a mold for a new design of cyclone intake tube. The tubes were made of impact-resistant urethane, have no seams, and are light and easy to maintain. These tubes were recently installed and are now online. 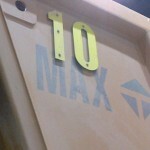 Redwood Plastics are experts in creative solutions to tough applications. 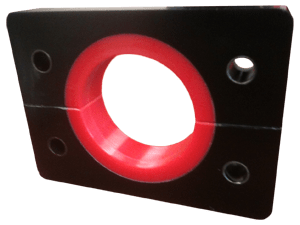 In conjunction with our manufacturers and suppliers we can help to solve issues of noise, wear, and abrasion making sure the optimal material is used in the application. 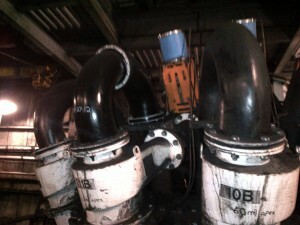 This reduces maintenance costs, equipment downtime, and ultimately saves money. To get our team working on your application, contact us today. 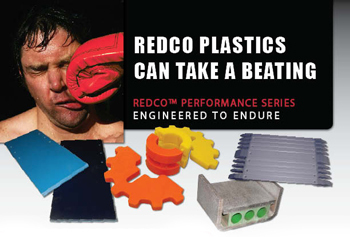 Redwood Plastics has an extensive line up of materials that will withstand the most heavy hitting applications. Below is a list of some products that are available for your most demanding application. 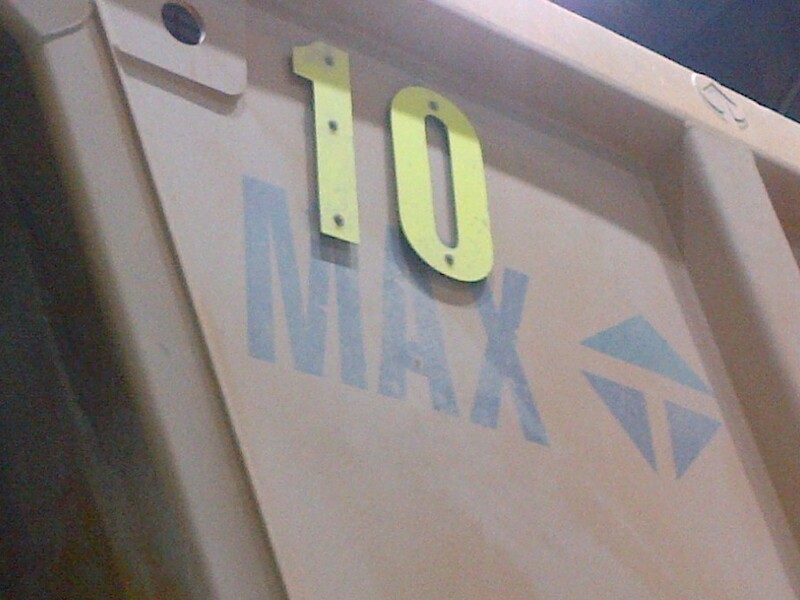 The slickest, strongest and toughest with superior abrasion resistance to extend the life of your machinery. Boltless sprocket for easy installation and reduced maintenance. Reduces damage to equipment and product. Absorbs energy to eliminate bounce back ad vibration. Installing Redco Deadplate reduces damage to your equipment and your product. Withstands heavy impact to reinforce structural stability. Low coefficient of friction to increase chain life.